Haas & Hahn is a Dutch artist duo, which consists of Jeroen Koolhaas and Dre Urhahn. The duo is known for their passion for urban transformation. They painted whole buildings and streets of the slums and ghettos in North Philadelphia, Mexico and Brazil. Jeroen Koolhaas is from Rotterdam, and he attended the Design Academy in Eindhoven, where he studied graphic design. He was a freelance designer and illustrator. He also did illustrations and designs for the New Yorker magazine and Oma, the company established by his uncle, the renowned Dutch architect Rem Koolhas. On the other hand, Dre Urhahn is from Amsterdam, and he doesn’t have any formal art training. He went to Ledien University, where he studied Chinese Language and Culture for two years. Urhahn was a journalist, art director, copy writer, and the founder of a television production company. What brought them together was the organization of hip-hop parties. Urhahn was the organizer, and Koolhas designed the fliers. When the latter got an award for his graduation film, he decided to make a film about hip-hop in Brazilian favelas, and he asked Dre to be his assistant. 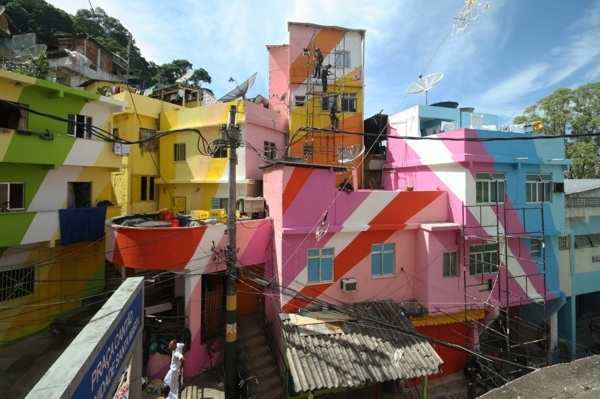 While they were driving through Rio de Janeiro, they got the idea to paint the slums. 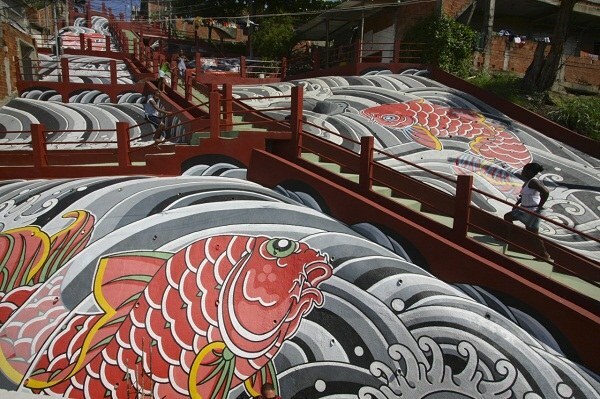 Their best known project is Favela Painting. 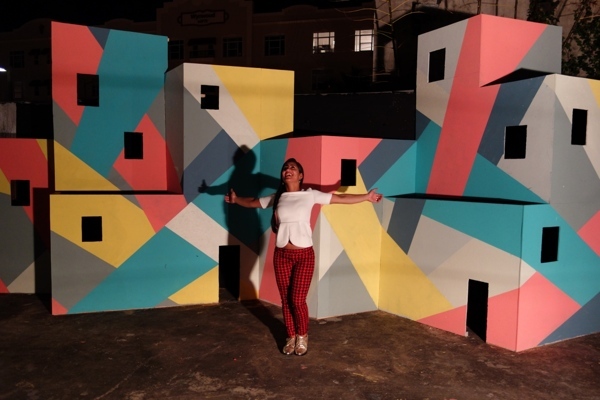 It’s a series of large-scale artworks in the favelas of Rio de Janeiro in Brazil, funded by Firmeza Foundation, donations and grants. 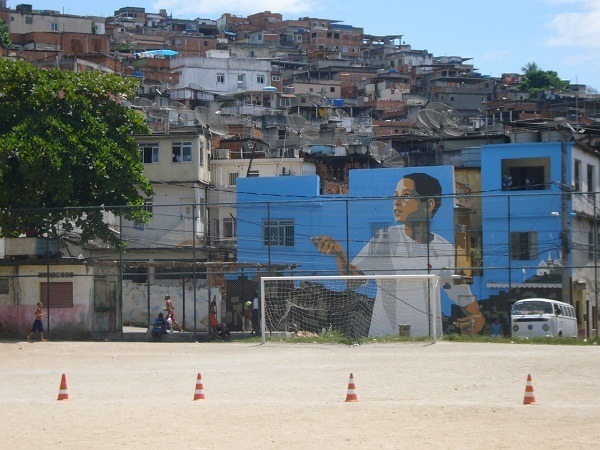 The artworks include The Boy with Kite, painted in 2007, Rio Cruzeiro (2009) and the one in Praca Cantao, Santa Marta, finished in 2010, with the help of 25 local people. 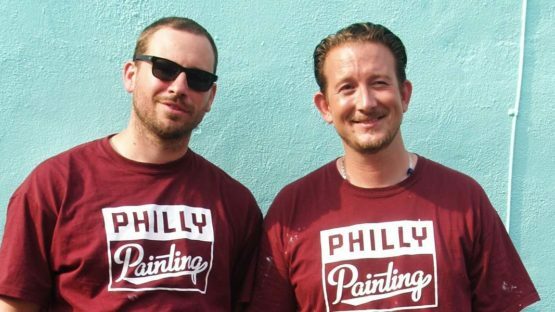 Following the local and international media attention that Favela Painting gained, Jane Golden of Mural Arts Program in Philadelphia invited the duo to do something similar in North Philadelphia. The project entitled Filly Painting aimed at hiring local people to help with painting 50 buildings on Germantown Avenue. The project was started and finished in 2012. The same year, Jon Kaufman and El Sawyer made a short documentary film about the project, starring Jane Golden and the duo. Haas & Hahn also appeared in two documentaries about Filly Painting by HUB Footwear. HUB Footwear produced a limited edition Philly Painting sneaker, which was designed by Koolhaas and Urhahn. Their other projects include La Tentashon in Curacao, Skepp in Sweden and Favela Painting installation in Miami, during Art Basel 2013. Now they speak at symposiums, give lectures, host workshops and exhibit at venues such as Storefront for Art and Architecture in New York. Brazilian Vogue named Santa Marta one of the most colorful places worldwide in 2011. Haas & Hahn are represented by Kallenbach Gallery in Amsterdam, Netherlands.